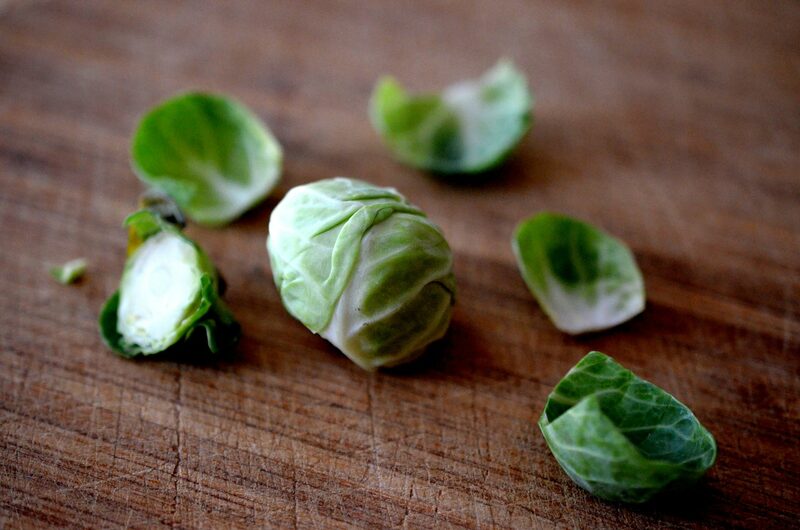 Brussel sprouts are small, cabbage like vegetables made up of tightly layered leaves. They are winter seasonal vegetables, meaning they are challenging to find in the summer. When working with brussel sprouts you want to ensure that you remove the outer, looser leaves which might contain dirt. To start, remove the base of the brussel sprout. By removing the base, you are now able to easily remove the leaves layer-by-layer. Remove the outer 2-3 leaves. These outer leaves can contain dirt and are often tougher than the more delicate inner leaves. If you see some decay, or unwanted spot, continue removing layers until the sprout looks good all around. From here you can cut any way your recipe calls for. Most times brussel sprouts are cut and not served whole.